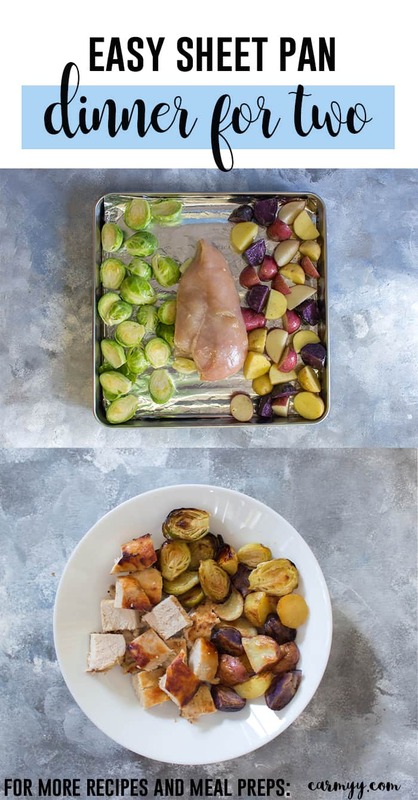 Sometimes a whole sheet pan dinner is just too much for my partner and I so today I have for you a dinner for two: Sheet Pan Honey Lemon Chicken with Roasted Potatoes and Brussel Sprouts using a convection toaster oven! 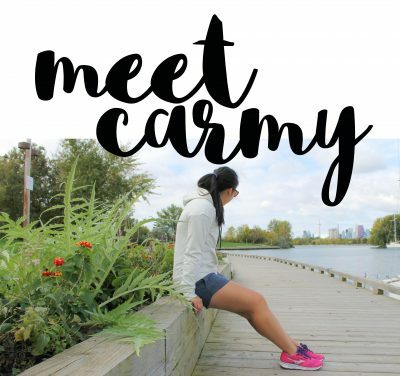 Hi my name is Carmy and I can be quite lazy. In other words, this post isn’t going to be image heavy haha but for realsies, there are days where I just don’t want to get my oven ready to use. “What do you mean? Isn’t it just pressing a button?” you may be thinking, well no. The inside of my oven is a storage space for 1 wok, 1 cast iron pan, 2 loaf pans, 1 huge thing that can hold a turkey, 4 sheet pans, and honestly, I’m not too sure what else it in there LOL. This means if I’m just making a quick easy dinner, I have to lug all that out of my oven and place it somewhere then pack it all back in. 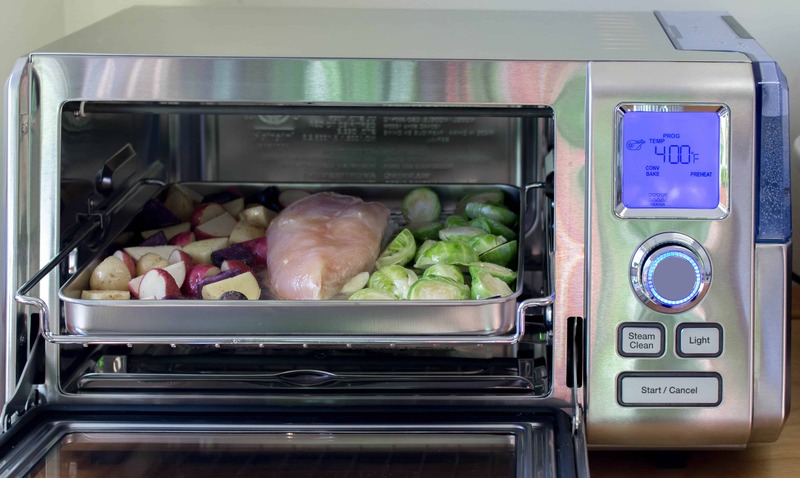 Recently I got a new combo steam & convection toaster oven from Cuisinart and I’ve been quite excited to use it. This means I don’t have to clear out my entire oven if I’m making a small batch of something or if I’m testing a recipe. 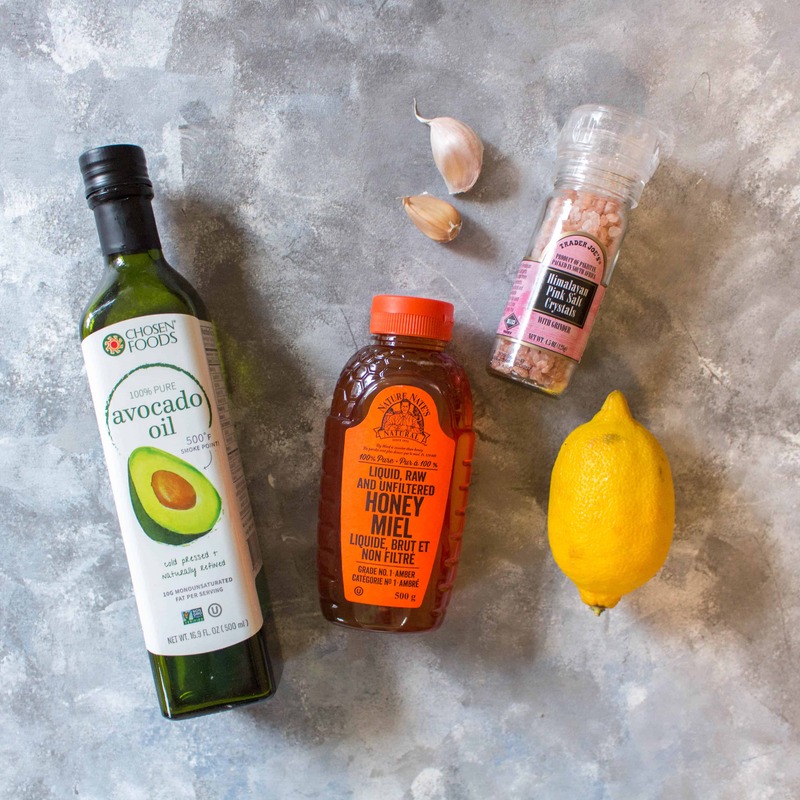 Anyways, like this recipe, I’m going to keep this post quick and simple, the chicken marinade was made with avocado oil, honey, lemon, garlic, and some salt. I used my favourite baggy holders to keep the sides of the bag from touching the raw chicken, squished it around, and popped it into the fridge to marinate for 30 minutes. While the chicken marinaded, I cleaned up some brussels sprouts, cut them in half. Cleaned up some mini potatoes, cut them in half too. Coated them in oil, salt, pepper, and some garlic powder and set them in the pan to wait for the marinating to finish before popping it in the oven. 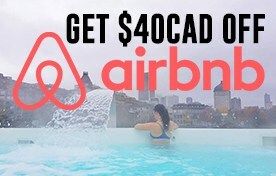 Easy peasy lemon squeezey! 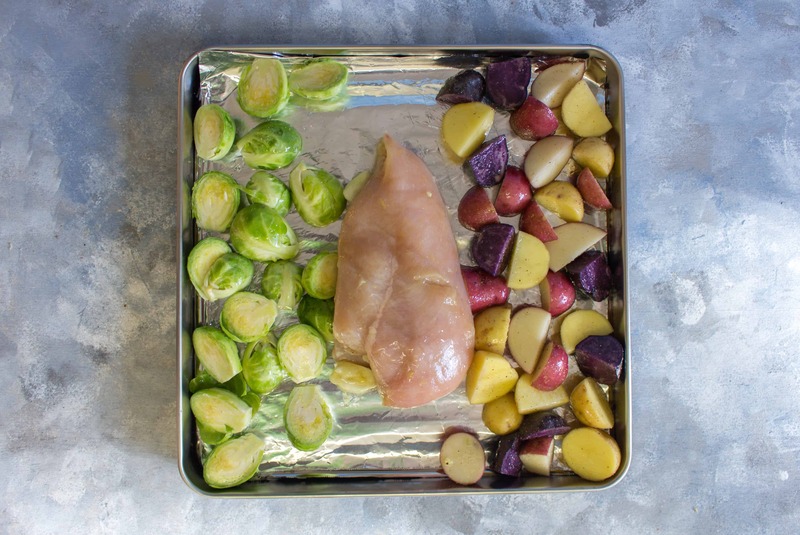 In a ziploc bag, add your chicken breast (lower cook time by flattening it down first) and the marinade ingredients. Leave it in the fridge for 30 minutes to marinate. 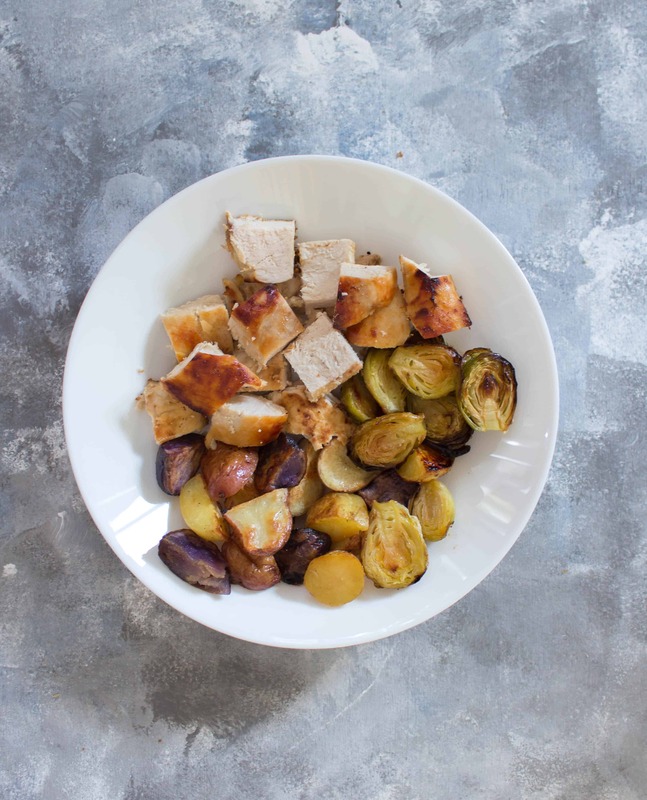 Clean the brussels sprouts and potatoes and half them both. In a mixing bowl, coat everything with oil, salt, pepper, and garlic powder. 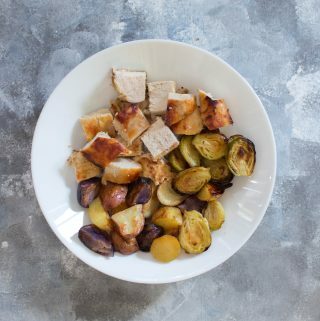 In a pan, place your flatten chicken breast in a sheet pan and your brussels sprouts and potatoes beside it. Bake for 20-30 minutes/until the chicken has cooked through. Let the chicken rest before cutting and serve. Let’s Chat! What is your go-to dinner for two?